Parent School Support Committees are elections are held each year in the fall. School principals are responsible for ensuring that elections are conducted according to the following election process and procedures, and for handling the administrative functions related to the PSSC election (e.g. selecting the date of the PSSC election, notifying parents with PSSC election information such as the date of the election, the nomination process, and the number of parent member positions open for election). The PSSC facilitates the election and encourages parent interest and involvement in the election of PSSC parent members. All PSSC elections are to be held by the 30th day of September. You should contact your school’s Principal if you are interested in becoming involved or would like more information on PSSC elections and the work of PSSC in your school. The principal of the school provides eligible parents: notice of the date and time of the election; and, brief information respecting the nomination process and eligibility for membership on and the responsibilities of the PSSC. This information is provided within a reasonable time prior to the date of the election. Who is eligible to be a member of the PSSC? Parents – Any parent or guardian of a student enrolled in the school, regardless of his/her age or residency status, is eligible to run for a PSSC parent position. 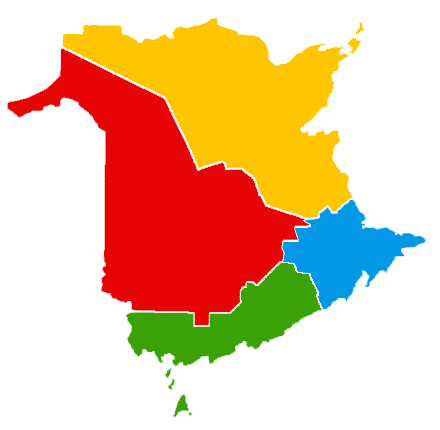 Parent representatives – Any New Brunswick resident who is 18 years of age or older and is not a pupil is eligible to run for a PSSC parent position. That is, a person who is not a parent of a pupil enrolled in the school may offer candidacy for and ultimately serve as a parent member of a PSSC as long as they are duly nominated and elected by parents of pupils enrolled in the school in accordance with the nomination and election requirements as set out in the regulations. No school district employee working at the particular school for which the PSSC has been established may be elected or appointed to a PSSC parent position. Any parent member may be re-elected for any consecutive terms. How are PSSC members elected? No school resources, either human or material, may be used to support particular candidates or groups of candidates. Any person wishing to submit his/her name for election is invited to do so at any time until the close of nominations. During the election, submitted nominations are presented. Further nominations by parents are requested from the floor and seconded. Parents and guardians may self-nominate; or may nominate any other eligible person. The nomination must be seconded by an eligible parent other than the nominating parent. All parents and guardians of students enrolled at the school, including parents or guardians who are employees in the school system, are eligible to vote. Voters must be present at the school and vote in person. Election for parent members of the PSSC is conducted by secret ballot. A teacher representative is elected by teachers in the school by the 30th day of September for a one-year term. In high schools, a student representative is elected by students in the school by the 30th day of September for a one-year term.